Should the Potential Danger of Our Sport Lead Us to Tiptoe Safely Through Life? Megan Hottman is a Colorado cycling attorney and cycling safety advocate. She penned an article recently that made me think. She was reflecting on the death of a cycling friend, Andrew Tilin, who died on a routine bike ride. Two cars collided in the fog near Austin and one careened into him while he was on the side of the road changing a flat. Tilin was a former editor of Outside Magazine and author of The Doper Next Door. His death forced her to a crossroads of questioning her commitment to the sport she loved. I know from my conversations with cycling friends that Megan isn’t alone in pondering this issue. The news of every cycling death makes each of us ponder the unthinkable in our own lives. I believe giving this serious consideration is a very positive thing. I know some riders who have made the decision road riding is too dangerous for them. I understand and respect their decision. Each of us have decisions to make based on what is most important in our lives balanced against such things as family responsibilities, for instance. Each of Us Should Commit to Living Our Lives More Fully. Years ago, I attended a bicycle frame failure seminar and the engineer, who was the instructor, observed he would never ride a carbon frame bicycle because when they fail, they do so very suddenly and, often, with catastrophic results. It really freaked me out. 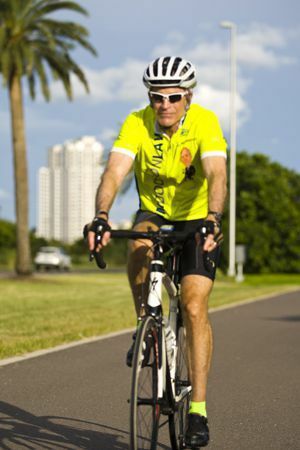 Shortly afterward, I was having a conversation with the ED of The Florida Freewheelers, Scot Hartle. I related what I had heard and how it had affected me. His response has stayed with me ever since. He said “Jim, there are many things we do in our lives which expose us to danger. We do them regardless, because if we were to die at least we were doing something we loved.” He was right. It is a good thing for each of us to think of our mortality on many levels. It should make us consider whether we are ready to die, but also, whether we are committed to actually living each day to the fullest. Not long ago I wrote about Tracy Draper's book "Live It". Tracy voiced the same sentiment about our tendency of having a “bucket list” which we reserve for “sometime in the future” which never seems to come. Tracy suggests that we have a “live it list” which we purposely focus on actually living the adventures or experiences we have the ability to accomplish this day, this week, this month or this year.